Our expectations of food in Maryland are high. We’ve eaten our weight in crab in Annapolis, sampled burgers in Baltimore, and tried out some of the best southern food the state has to offer. 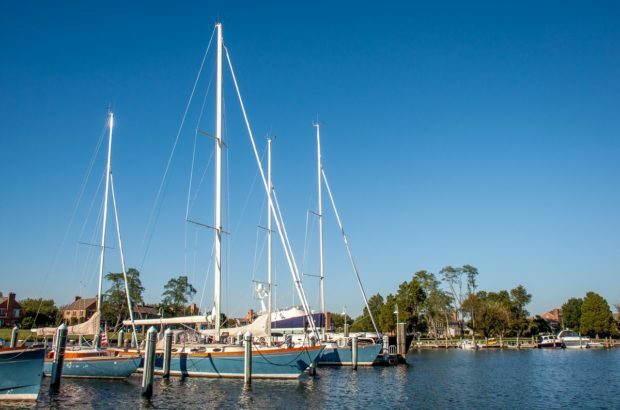 So when we had the opportunity to join one of the Eastern Shore Food Tours in St. Michaels, Maryland, we jumped at the chance. 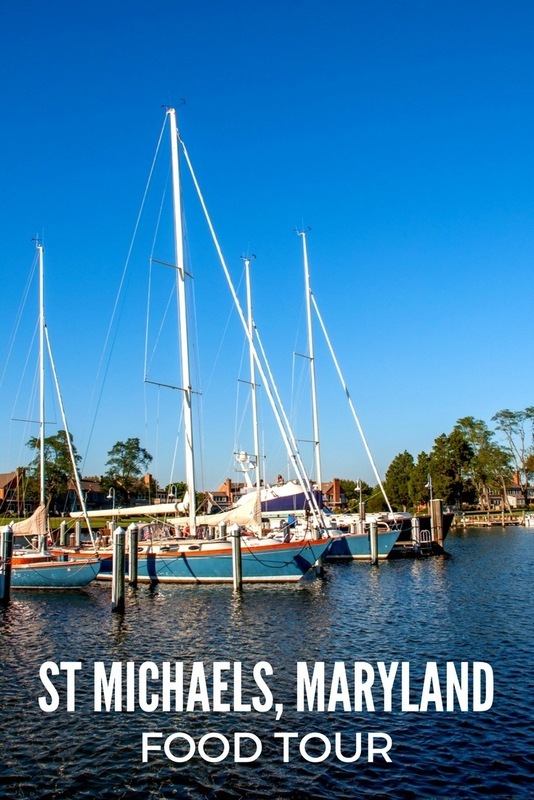 The waterfront town of St. Michaels sits on the eastern shore of Maryland just across the Chesapeake Bay from Annapolis. Although it’s a tiny fraction of the size of the capital, it’s just as picturesque with tons of bayside real estate and a charming downtown to stroll. 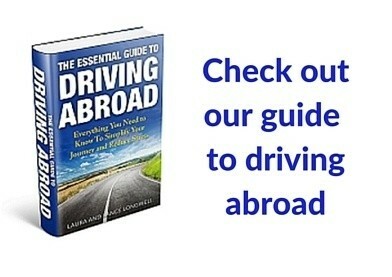 We made the most of it all on our three-hour food tour. Our tour started off at two stops right on the water. As we munched on fresh shrimp risotto and ahi tuna poke, we lost ourselves in the calm rhythm of the boats sailing in and out of the harbor. Between the fabulous seafood and the orange crush cocktails (we can tell why Foxy’s Harbor Grille is famous for them), we were pretty much in heaven from the start. The next stop on our Eating St. Michaels tour took us to one of my personal favorites, Lyon Distilling Co. Although we’ve been to craft distilleries from Texas to Tennessee, we never get tired of seeing the distillers at work and hearing about the passion that goes into making their products. 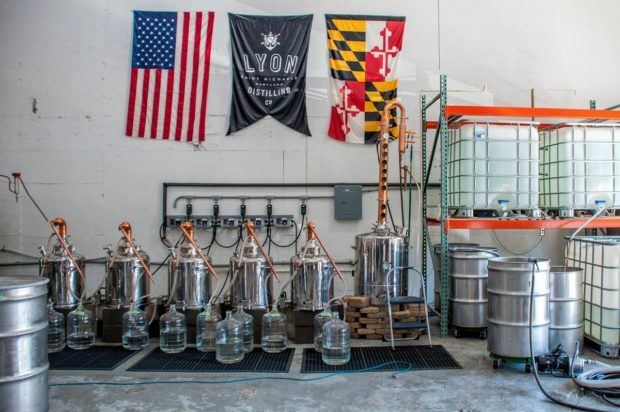 Lyon Distilling focuses on crafting American rum and perfecting rye and malt whiskeys. The samples were endless, but my favorite was undoubtedly the overproof French oak-finished rum. After our first several courses of alcohol and fresh seafood, it was time for a little more alcohol and fresh seafood. After all, that is the best way to spend a sunny day on the coast. A quick walk took us to nearby Awful Arthur’s, a mid-Atlantic seafood institution. 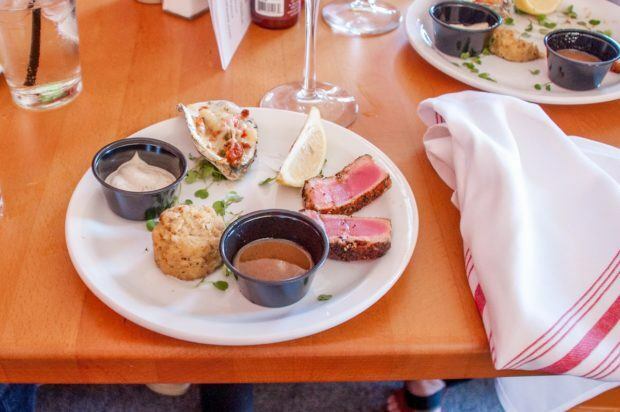 In a historic home in cute downtown St. Michaels, Awful Arthur’s serves up nine types of oysters and endless other varieties of fish and shellfish. The crab balls and oysters we tried were fabulous. After Awful Arthur’s, we were sure the tour had to be coming to an end. Stuffed and happy, we thought we might have one more stop left. But the joke was on us. The folks at Eating St. Michaels food tour had three more destinations planned for us around downtown. There was the candy shop. 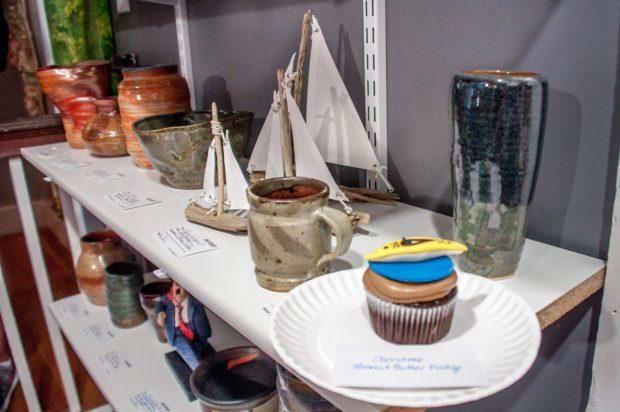 Then the art gallery featuring the most delicious and creative cupcakes I’ve ever seen. And finally, we were led to try olive oils, flavored vinegars, and yes, even more amazing crab. But that wasn’t nearly the end. About the time we thought we couldn’t handle one more bite, we arrived at one of the most beautiful places in St. Michaels—The Inn at Perry Cabin. 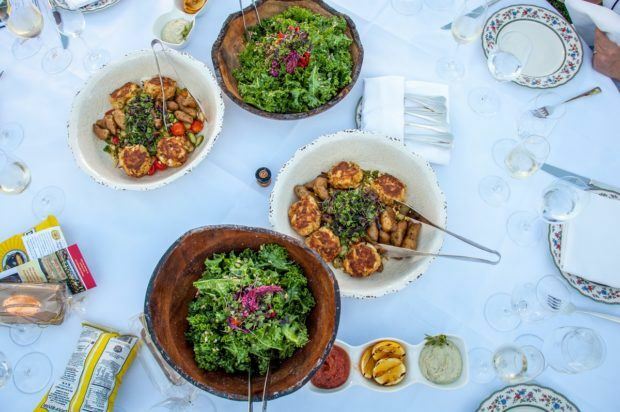 Once a 19th century manor house and now an impeccable luxury hotel, The Inn at Perry Cabin welcomed us onto their sprawling lawn for more extraordinary dishes. There was kale and spelt salad, crab cakes with corn succotash (never a more perfect combination has been devised), and wine galore. 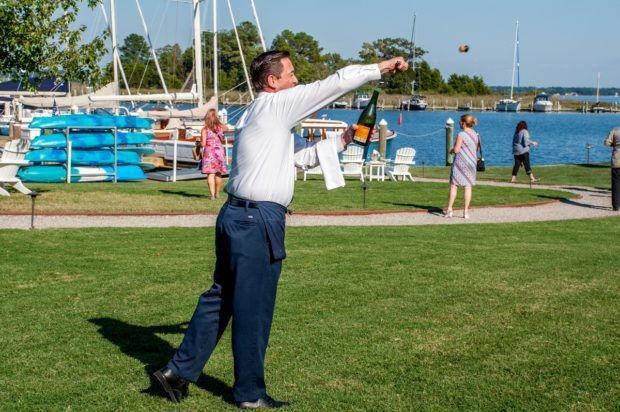 But to prove that the food tour and the Inn know exactly how to impress their guests, the piece de resistance was a champagne sabering demonstration right in front of the fabulous boats. It doesn’t get any better than that. 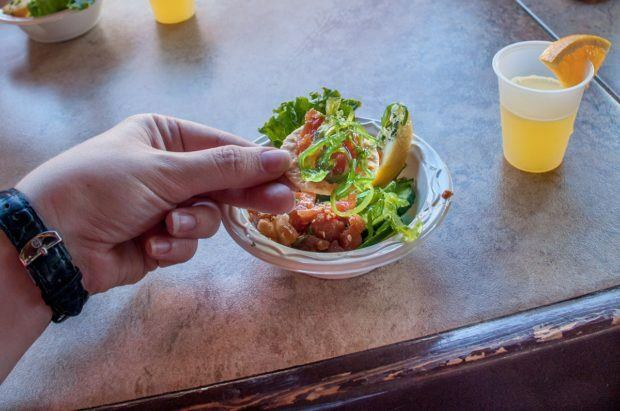 We were the guests of Eastern Shore Food Tours thanks to Visit Talbot County. All opinions of the tasty and crabby are our own.